The AARGM (Advanced Anti-Radiation Guided Missile) missile was tested for the first time during a real exercise in China Lake in America. On the morning of April 2, a Tornado ECR aircraft with a Test Aircrew of the China Lake Autonomous Department at the controls, successfully tested the first Italian AARGM (Advanced Anti-Radiation Guided Missile) missile. 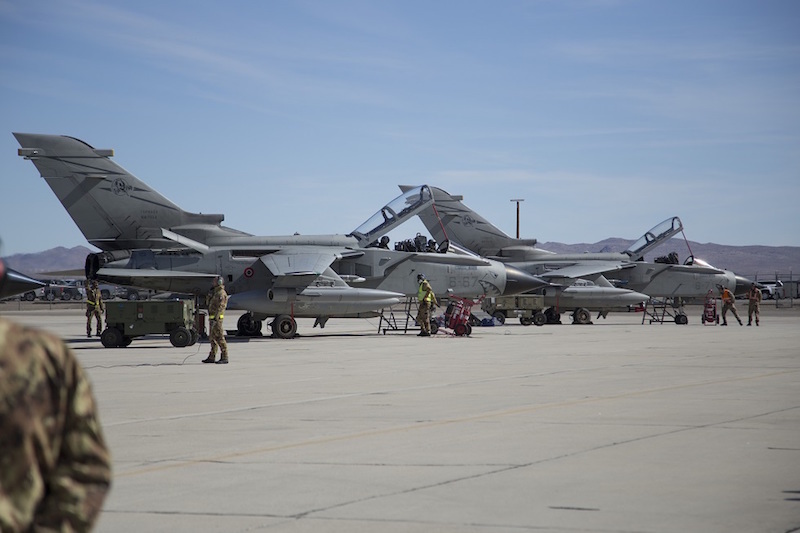 The launch, the first of two planned during the Blazing Shield 2018 exercise, was one of the most important events in the OT & E Campaign (Operational Testing & Evaluation) of the AARGM / Tornado ECR binomial that is developing at the base's polygons American air. The Italian team managed all the phases related to the use of the Missile from the China Control Range Control Center from the ground. The AGM88E missile, as the result of a cooperative program between the AM and the US-Navy, is the highest evolution of the anti-radar armament existing in NATO today. Although it is of American manufacture, to the production of the same they have shared Italian industries. Blazing Shield 2018, in addition to the OT & E AARGM, aims to validate the tactical-operating procedures, in the field of self-protection, of the Eurofighter Typhoon and C27J Spartan systems. To date, the RAV's aircraft have already carried out more than 200 sorties, totaling over 600 flight hours, reflecting a constant daily effort involving all the Italian personnel involved in China Lake.